15980 Mandolin Bay Dr Fort Myers, FL. | MLS# 217073047 | Southwest Florida Residential Real Estate for Sale. Rarely do you see a unit with this many upgrades come to market in Mandolin Bay. This 2BR 2BA condo is located just minutes to world renown beaches of Sanibel and Captiva, great restaurants and shopping. 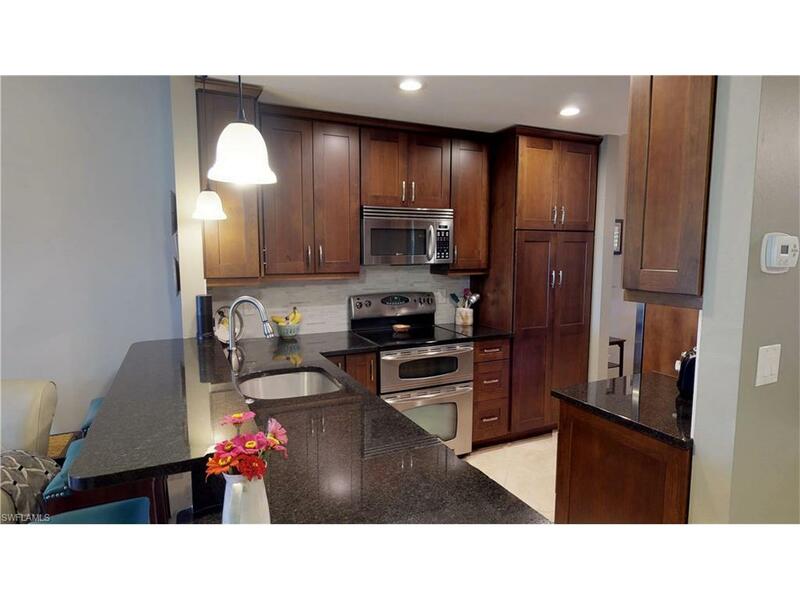 You will love the beautiful high end gourmet kitchen featuring soft close drawers and cabinets, black granite, grecian white back splash, stainless appliances, double oven, Bosch dishwasher, and breakfast bar. Huge master suite features walk in closets, bay window, carpet(2016), high end cabinetry and granite tops. Guests will surely enjoy the walk in closet and upgraded guest bath. Additional features include plantation shutters, fresh paint, newly tiled screened lanai and AC unit installed in 2015. Each unit also comes with a one car garage. Amenities in the 72 unit gated community of Mandolin Bay include heated pool/spa, and clubhouse featuring fitness center, Billiards, full service kitchen, big screen TV and seating areas for events. Schedule your showing today and don’t miss this opportunity to own one of the nicest units in Mandolin Bay!